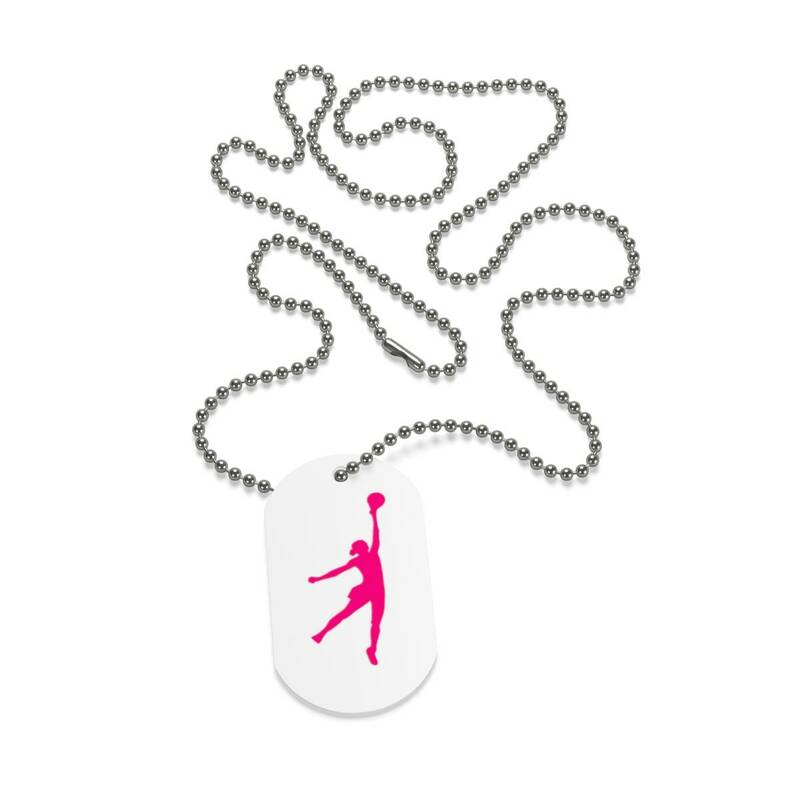 These dog tags are professionally printed in full digital color. They are great to show off your logo or favorite graphic..: White print side. : One size. : Beaded aluminum chain included. 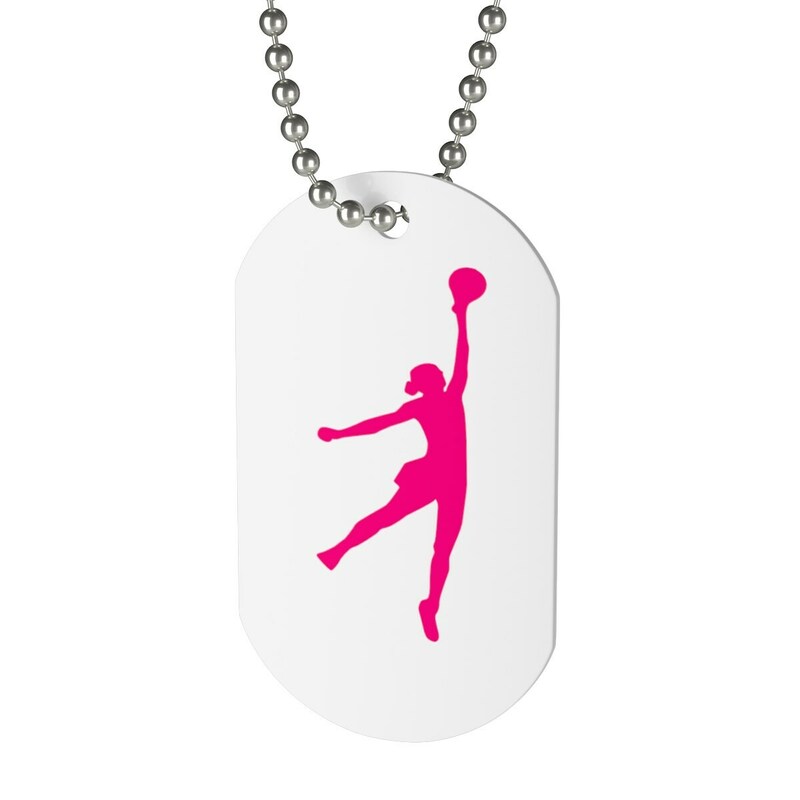 Specially made for women's basketball.